Shopping for furniture can be costly, especially when buying new. 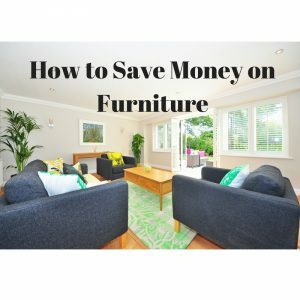 Taking the time to research, time sales and make compromises when purchasing furniture for your home can save hundreds or thousands of dollars. Here are a few tips to consider when buying furniture. Most people buying furniture want to see, feel and test out the furniture before buying. However, retail store locations markup the cost of furniture to account for shipping costs, insurance and other expenses needed to have the furniture ready for sale, thus driving up the final sale price. An alternative option to buying furniture from a retail store is online shopping. Check out different retail stores and test out the furniture items you like best. Then, research different online stores to see if they carry these items or ones similar to them. Many online stores you will find sell the furniture at reduced prices. Examples of online stores include: Overstock.com (free shipping over $45 in certain geographical locations, including over-sized items), Amazon.com (free shipping on eligible orders), BigLots.com and Muji.com (they charge based on order total but offer deep discounts on furniture). When shopping online for furniture, make sure you confirm dimensions/size and make of the items you are purchasing before finalizing your order. Even with a fair return policy, having to return unwanted furniture after buying can be a hassle. Another option to buying furniture online is to wait and time sales offered by warehouse or retail stores. Although the timing may differ for different stores, January and July are considered the best times to purchase most furniture at a deep discounts. In January stores offer post-Christmas sales to unload old inventory in preparation for the new season. However, many people do not purchase furniture at this time due to unfavorable weather conditions and the money they have already spent during the holidays. July is another good option to find sales on furniture as most new season items are sold in August and September. What is important to remember is retail stores tend to have sales around the same time each year. Once you determine when your favorite retail stores offer sales, mark your calendar and time your shopping trips accordingly. If the furniture of your choice happens to be sold out, many retail stores will offer the floor model at a discount. Depending on the condition of the floor model, these discounts can be 10%-20% off the sale price. If the model is slightly damaged or warn out you may even receive a larger discount. You also get the added bonus of receiving a ready to use fully assembled item which saves you time. We live in a culture where the sticker price is the final price, no questions asked. However, that does not have to be the case, especially for big ticket items. Many stores that carry heavy, expensive and large items have a greater incentive to sell these items as quickly as possible. The cost to carry these products coupled with the store’s need to stock new models makes negotiating purchase price a no brainer for buyers. Most furniture stores compensate their sales staff on a base plus commission or commission only pay structure and offer their staff some flexibility in what they can give as final sale price. Use this opportunity to negotiate on price and save some money. If you want to save big on furniture then it may be better to opt for neutral colors like black, white, brown, grey, beige etc. Most lower-priced furniture are also mass produced, which is why they can be offered at a lower price. Bright colors like orange, red and yellow tend to be higher priced because of their uniqueness and may not be as heavily manufactured. To bring color to your home, consider buying bright center pieces, home décor items and ornaments instead. This may offer the brightness and color you desire at a fraction of the price. Another added advantage is neutral furniture items make re-selling a lot easier. If you ever decide to sell any of your furniture in the future, neutral colors is the way to go. A great way to save money on furniture is to buy used through a private sale. Many people are willing to part with their used furniture at 60%-80% of the purchase price with some items still in good condition. Some reasons people will sell their furniture include: downsizing to a smaller space, changing tastes, relocating cities, states or countries and not wanting to transport the furniture or estate sales. Some places to search for used furniture include: Craigslist, Kijiji (Canada) and garage/estate sales. It is important to mention that buying furniture through private sales can be time consuming and not effective if done incorrectly. Avoid ads that do not include images or offer vague descriptions of dimensions and condition of items. Come to an agreement on price before going to see the items and plan the logistics of your visits to save on gas. Always go with a friend or family member for safety reasons and to help you move the furniture. 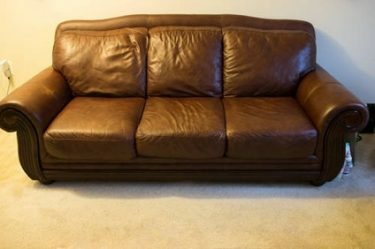 Lastly, if matching furniture is important to you then buying used through private sales may create a problem as it is rare (but not impossible) to find a seller that will provide an entire set at a time when you want to buy. An alternative option to private sales is to check out used furniture stores. Some for-profit furniture stores operate similar to a pawn shop where they purchase used items from sellers and then re-sell to buyers. These stores vary by geographical location so it is important to check out which used furniture stores are available in your location. Alternatively, non-profit stores like Salvation Army and World Serve receive donated items which they sell to customers at a deep discount. The added benefit to buying at non-profit stores is a majority of the proceeds (after expenses) from the sale go towards funding charitable causes.